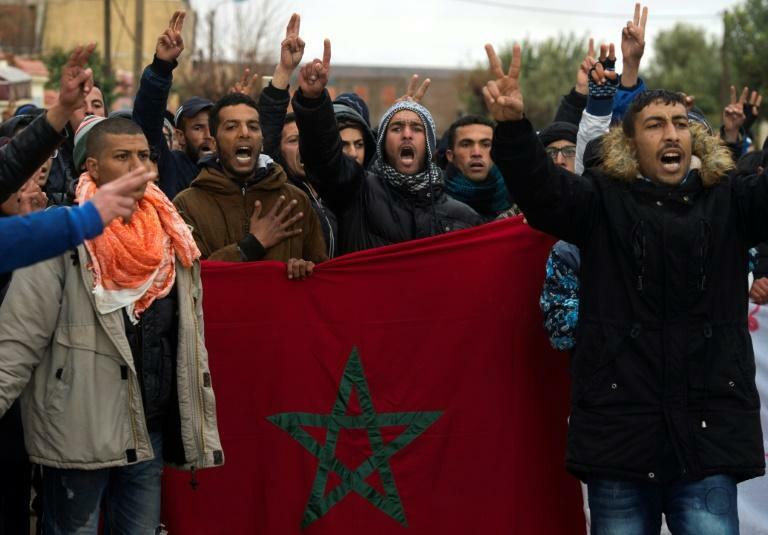 A teenager died Wednesday in Morocco when an abandoned coal mine collapsed in the impoverished former mining town of Jerada which saw protests earlier this year following similar accidents. Local newspapers and an activist in the northeastern town said the 18-year-old had gone into the mine to collect coal. His death triggered a demonstration by hundreds of residents, they said. Last December, the accidental deaths of two brothers trapped in a mine shaft, followed by two other deaths under similar circumstances, sparked months of unrest and protests in the town. Hundreds of illegal miners in the town risk their lives in abandoned mine shafts to extract coal, the sale of which is legal thanks to operating permits issued by Moroccan authorities. Moroccan authorities have vowed to close all the abandoned mines. A government economic plan launched in April helped calm the last round of protests, which saw around 100 people arrested. Human Rights Watch accused police of using "excessive force" to break up demonstrations, which authorities denied. The mines, deemed uneconomical, were closed at the end of the 1990s at the cost of some 9,000 jobs in a region whose economy depended heavily on coal.